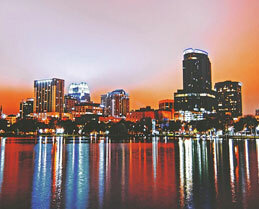 407apartments.com is much more than a list of apartments in Orlando. We provide some of the most comprehensive apartment listings available on the web. We’ve built technology that empowers Orlando renters to explore apartment options and make choices that fit their lifestyle and budget. Go ahead, get started… we’ve outlined a roadmap that will lead to the perfect apartment for you. Most online apartment guides are in the business of generating leads. Some are even paid each time you send an email to an apartment. There’s no incentive for them to actually simplify your apartment search. In fact, their entire business model is dependent upon renters wasting their time, and many even make a significant amount of money by selling your email to apartment communities. Our approach is fundamentally different. Our mission is to match renters with the single apartment that best fits their lifestyle and budget. We start by working with apartment communities to ensure that their listing gives a true and accurate feeling of what it is like to rent there. We then empower renters to find apartments that match over 300 different features. Ultimately, our goal is to introduce you to the apartment that you’ll choose to make your own. Don't just take our word for it. Our team has been awarded the prestigious Golden Key Award by the Apartment Association of Greater Orlando on seven occasions. Why? While the tools and information we provide to renters are incredibly helpful, the 407apartments.com team makes the difference. We know the Orlando apartment industry, and we know Orlando. We live here, we work here, and we’re part of this community. The cool weather will soon be gone to make way for spring. What are some tips and tricks for spring cleaning my apartment? I am searching for an apartment in Orlando that offers 21st century style amenities. What are some of the features I can look for in my modern Orlando apartment? I’m relocating to Orlando with my two children, and I want to move to an apartment in a good school district. Any tips? I’m looking for an Orlando apartment near Disney. What neighborhoods should I look in? What’s the deal with renter’s insurance? Do I have to get it? What better way to narrow down your search for apartments in Orlando than by the features and amenities that really matter to you? We provide more than 300 options for you to find the place that fits all your needs. We make it our job to make it easy to find it. Are you looking for luxury apartments? Cheap apartments? Something in the middle? There are Orlando apartments for everyone's budget, so there's no need to fret over paying too much. You and your bank account will both be satisfied by the place you decide on. Before you select one of the many apartments in Orlando, you'll want to know what the area is like. That's why we created our neighborhood guides. They offer helpful advice and information to help you make the best decision about your living situation. Moving to a new place doesn't have to be hard. 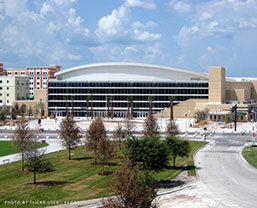 In fact, we make moving into Orlando apartments as easy as can be with our relocation guide. Filled with information that ranges from bills and utilities to fun activities in the area, you'll feel like a local in no time. What Makes Us Different?We're not here to "upsell" you into Orlando apartments you can't afford.